FEACO is closely involved in following the activities that drive the European Institutions and is particularly keen to engage with the European Commission and the European Parliament notably. To voice our views of the consultancy to the EU institutions, FEACO has created various Commission or Working Groups that strive to understand EU policies, to monitor major EU regulations and participate to EU consultations and experts panels to engage actively in a constructive EU dialogue. FEACO is also registered in the European Transparency Initiative (ETI). 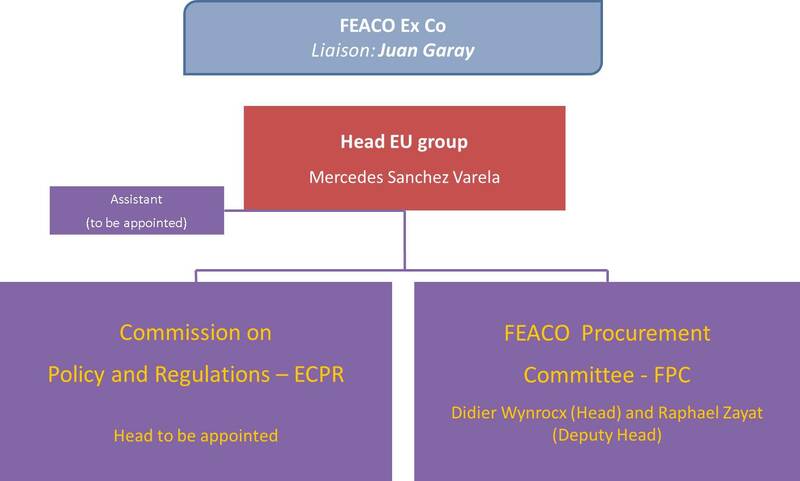 All EU activities are coordinated by Juan Garay, FEACO Ex-Co member and on an operational base by Mercedes Sanchez Varela, as head of the FEACO EU Group based in Brussels.